The stomach acid consists of hydrochloric acid is a digestive fluid formed in the stomach. By activating digestive enzymes, it helps in digestion of proteins. Now, this stomach acid can be used to create a small voltaic cell. Scientists from MIT and Brigham and Women’s Hospital have created a small voltaic cell from acidic fluids in the stomach. This newly developed system can produce power to run small sensors or drug delivery devices. Such type of ingestible systems can be used to sense physiological conditions such as temperature, heart rate, and breathing rate, or to deliver drugs to treat diseases such as malaria. Scientists took inspiration from a very simple voltaic cell called the lemon battery. This lemon battery has two electrodes. 1. A galvanized nail 2. A copper penny. The battery carries current through electrodes while citric acid in lemon flows through. 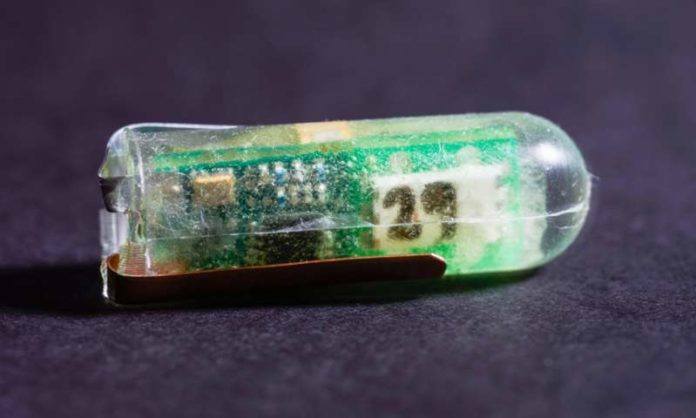 In this ingestible sensor, scientists embed two electrodes made from zinc and copper. The zinc emits ions into the acid to power the circuit. This causes generation of energy to power a commercial temperature sensor and a 900-megahertz transmitter. The device took almost a week to travel through the digestive track while experimenting on pigs. When it reached the stomach, the voltaic cell produced enough energy to power a temperature sensor. It has 2 meters transfer range with a signal sent every 12 seconds for sending data wirelessly. Once the device moved into the small intestine it generated only about 1/100 of what it produced in the stomach. Currently, the system has the size as cylinder- 40 millimeters long and 12 millimeters in diameter. But, physicists promised that they will soon make the capsule with one-third size of current prototype. READ: What’s wasting power at home? Scientists discovered that they could use the power generated by the voltaic cell to release drugs encapsulated by a gold film. This will help doctors to use the different dosage of drugs for controlling blood pressure.